Starting at the base of Africa and steadily climbing up the east side of the continent provides the opportunity to see the breath-taking sights along the way. African tours combine some of the most dramatic scenery with the vibrancy of the local culture, not to mention the wide range of wildlife that can be seen in its natural habitat. The journey starts in South Africa and moves on to Namibia, taking a fortnight to see all the sights and enjoy some of the excursions on offer. Those who are able to stay longer can opt to move on to the next leg, exploring Botswana and Zambia, but each section of the trip can also be enjoyed on its own. Free to pick and choose how long you stay or how much of East Africa you want to explore, why not join the expedition of a lifetime? The journey starts in Cape Town, one of the most contemporary and cosmopolitan parts of South Africa. For those that arrive a little early, there’s plenty to see and do before the expeditions gets moving. As one of the major wine-producing regions of the world, taking a wine-tasting tour can be a great way to kick off your travels. 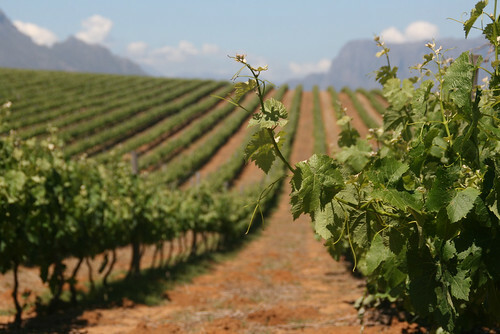 In the western province of South Africa, Stellenbosch lies at the foot of the famous Cape Fold Mountains, where the grapes are produced for wine-making rather than eating fresh. Once you’ve had your fill of the beverages on offer, it’s time to start the trip in earnest, leaving the busy area of Cape Town and heading out into the peace and quiet of the countryside. Moving alongside the Orange River, into an array of landscapes moving between jagged mountains, rolling hills and stony desert, the truck will carry everyone into Namibia and out of South Africa. The Orange River is the longest in South Africa and forms part of the natural border between the South Africa and Namibia. It has played a major part in the diamond producing industry and parts of it are sectioned off and inaccessible to visitors from home or overseas. But on the most part, the stretch alongside the river is particularly unspoilt and there are plenty of places to camp overnight. During the day, the clean fresh waters of the River Orange offer the perfect chance to practice your canoeing skills or just take a cleansing dip. 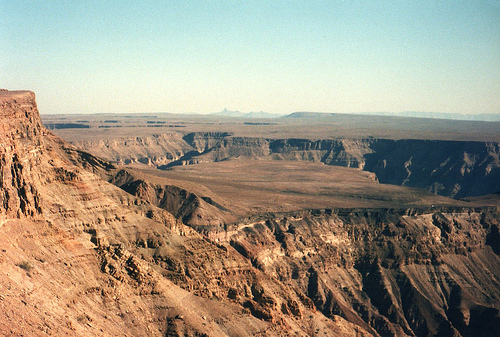 The second largest canyon in the world, beaten only by the Grand Canyon itself, Fish River Canyon is one of the most spectacular sights in the Namibian landscape. Formed more than 500 million years ago, the canyon is more than 550 metres deep and measures 160 km wide. Depending when you arrive, and whether it’s a wet or dry season, you could peer over the rim to see a dried up gorge or a raging torrent of boiling water. This landscape is very attractive to a wide range of different wildlife, and depending on the season, you could see fish eagles catching their dinner, mountain zebra and springbok bouncing around the rock faces and even predators such as jackal, hyena and leopard. Look carefully amongst the boulders and you will see the endemic Nama Padloper Tortoise, a very secretive animal that typically emerges after heavy rains. The Fish Canyon Hiking Trail is one of the most popular walking routes in the whole of South Africa; taking between 4-5 days there are no facilities along the base of this canyon walk and only two possible exit routes along the way! Namibia is perhaps best known for its spectacular desert regions such as the eerie and barren Skeleton Coast, and its other-worldly landscapes created by the shifting sands. Namib Desert is believed to be one of the oldest in the world, having been in existence for more than 43 million years. Namib Naukluft Park lies in the central reason of the desert, making it the third largest park in the whole of Africa. Incorporating not just part of the desert, Namib Naukluft Park includes sections of the Diamond Area plus the Naukluft Mountain Zebra Park. Life is harsh in this region and few animals have been able to adapt to the terrain, hyenas being one of the most notable exceptions. In certain areas which are slightly more fertile, mountain zebras, leopard, baboons, cape fox, jackals and of course, the Cape Fur Seal are resident. The park is renowned for its towering sand dunes, more than a thousand feet high offering endless views of the shimmering golden landscape which stretches out for miles. Climbing to the top is a huge effort but the reward is a colour-changing spectacle as the surrounding dunes reflect, sparkle and glimmer under the scorching sun. Before you leave Namibia, there’s just time to visit the immense salt pan known as Etosha Pan National Park. Starting out life as a giant lake, when the course of a river was changed, the waters dried out to become the pan and bush area it is renowned for today. Many types of wildlife are attracted to the area, and it’s an excellent place to view game. Night-time viewings are particular rewarding and are an experience not easily gained in any other park en route. With floodlit water holes, there’s the opportunity to observe animals which are too cautious to come out openly during the day. Rhino and the genet are likely to be seen alongside other animals such as elephant, meerkats, oryx, ostrich, jackal, giraffe, zebra and lion. Camping in the park itself provides the chance to hear the African bush at night, and experience what many other safaris can’t offer. All too soon it’s time to leave Namibia and move on to the next leg of the expedition. If you’ve enjoyed the sights, hopefully you will have left with your memory card crammed with unforgettable images. If you can’t re-join this expedition, or continue en route, there’s a similar tour which travels in the opposite direction, starting at Nairobi reversing this route. Or you could opt for a different expedition entirely, starting again in Nairobi but travelling north to Cairo. 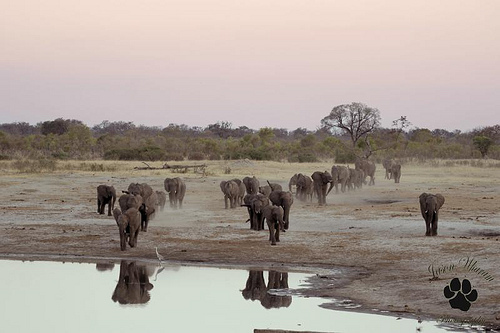 All of the African Trail tours promise you excitement and adventure and won’t fail to deliver.